In recent years, systemic mycoses have become a prominent cause of disease particularly in severely ill and immunocompromised patients. The factors contributing to the increased prevalence of fungal infections are related to larger number of patients with underlying immunosuppression, for example the acquired immunodeficiency syndrome ( AIDS), more aggressive cancer chemotherapy, increase in transplantation, greater number of other immunocompromised patients, and more frequent use of prosthetic devices . There have been a number of recent surveys, which illustrate the extent of this problem. The Center for Disease Control reported that among 51 USA hospitals, candidiasis was the eighth most common infection, accounting for 5% of the isolates [1, 2]. This value can be considerably higher in certain specific patient groups. The National Cancer Institute estimated that 43% of patients dying with acute leukemia had systemic fungal infection at autopsy . In patients with AIDS, the most common fungal infection is oropharyngeal candidiasis. However, in these patients, the fungal infection with the highest mortality rate is cryptococcosis. It is evident that systemic fungal infection is an important consideration in the treatment of a severely ill, immunosuppressed patients . Amphotericin B (AmB) has remained a mainstay of therapy for serious fungal infections since its introduction in 1956, owing to its broad spectrum of reliable activity and lack of availability of equally efficacious alternative agents . The usefulness of this agent, however, is limited by the frequent occurrence of several acute and chronic adverse effects that often necessitate changes in, or premature discontinuation of, therapy. These include fever, chills, nausea, vomiting, anorexia, headache, bronchospasm, hypotension, anaphylaxis, and bone marrow suppression. 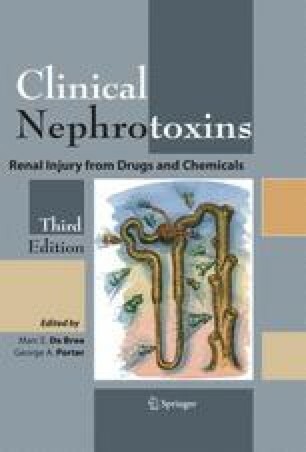 The most limiting adverse effect, however, is nephrotoxicity [6- 11]. Several novel antifungal agents, found to be equally efficacious and less toxic as compared to AmB in clinical trials, have been introduced over the past several years. Thus, the role of AmB as the “gold standard” in the treatment of serious fungal infections is likely to be challenged and re-defined in the next decade .